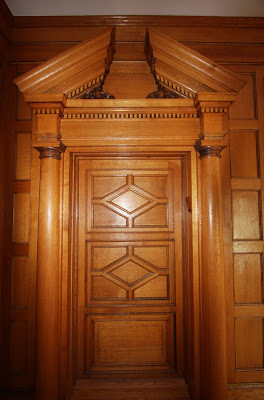 The entryway to the chapel at the Mortimer/Garvan estate 'Roslyn House' in Old Westbury. No, neither of the two rooms saved from the original house were moved in any way. The newer house was built around the two.